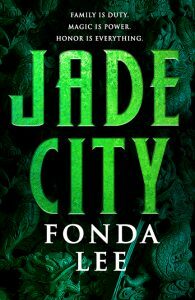 Jade City begins an epic tale of family, honor, and those who live and die by the ancient laws of blood and jade. On November 9, 2017, Fonda Lee will be launching her new novel JADE CITY at Powell’s Books in Beaverton, OR! The event will begin at 7 PM and consist of a reading from JADE CITY, an audience Q&A, and a signing. NextBeaverton Super Kids: Award Ceremony for Super Kids!